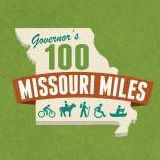 The Yellow Jersey Club is Missouri's most exclusive bicycle club - and includes the strongest supporters of bicycling, walking, and trails across the state. 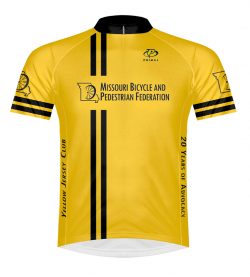 Yellow Jersey Club members donate at least $1000 annually to help use accomplish our vision and mission for better, safer bicycling, walking, and trails across Missouri. Yellow Jersey Club members are introduced and help lead out all rides at our events where they participate, are listed and recognized on our web site and in print materials, and are listed and recognized in Capitol Day and Legislator's Ride materials. A huge thank you goes to all of our Yellow Jersey Club members--your support is helping make Missouri a better, safer place to bicycle and walk. If you would like to become a member of the exclusive Yellow Jersey Club, please contact us or visit the Yellow Jersey Club Membership Page. If you should be listed by name and are not, please email or call the Executive Director (director[at]mobikefed.org 816-336-2550).